Hearing rumors that TMC acknowledges it hasn't been the best friend of walkable urbanism and plans a "complete streets" style makeover. ^Good news. Maybe they'll add bikeshare stations too. earthling wrote: ^Good news. Maybe they'll add bikeshare stations too. I’m amazed that the various hospitals downtown haven’t jumped on board this system. Would fit perfectly with their “health” focus. It's not quite as obvious as the hotel but the Children's Mercy project is moving along. Today they're moving materials or equipment onto the roof level of the garage and have forms up for new walls onto another part of the complex. They've been doing a lot of concrete work on the Children's Mercy project, probably the elevator shaft and what looks like a new entrance on the NW corner. 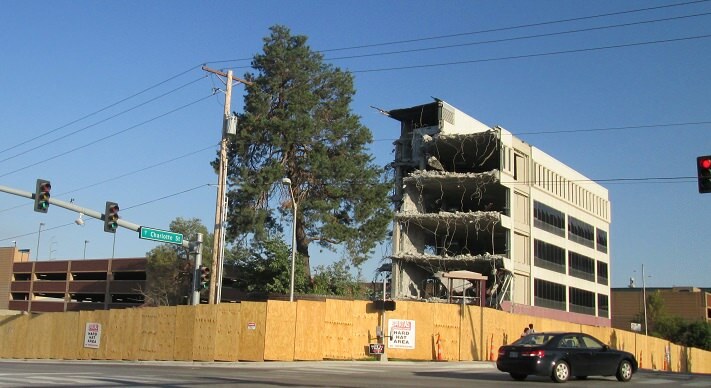 There's a building coming down at 22nd and Charlotte and there's a second University Health building planned for the site. The elevator shaft emerges on the new tower at Childrens Mercy Hospital. The building on the SE corner of Charlotte and E. 22nd Street that is being demolished. The new Truman Medical Center annex building that will replace it. Three Victorian houses on the 2500 block of Cherry (south of the dental school) are being demolished. 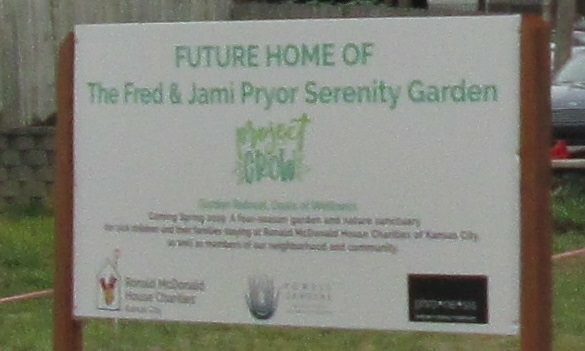 They are owned by the Ronald McDonald House organization. Google Streetview of the houses being demolished. Link to photos showing dismantling. Scroll down to find the post. You might have to join the Facebook group. More like Obscenity Garden. What a tragic loss. According to local legend, those houses had been relocated to Hospital Hill to make room for the construction of Union Station. 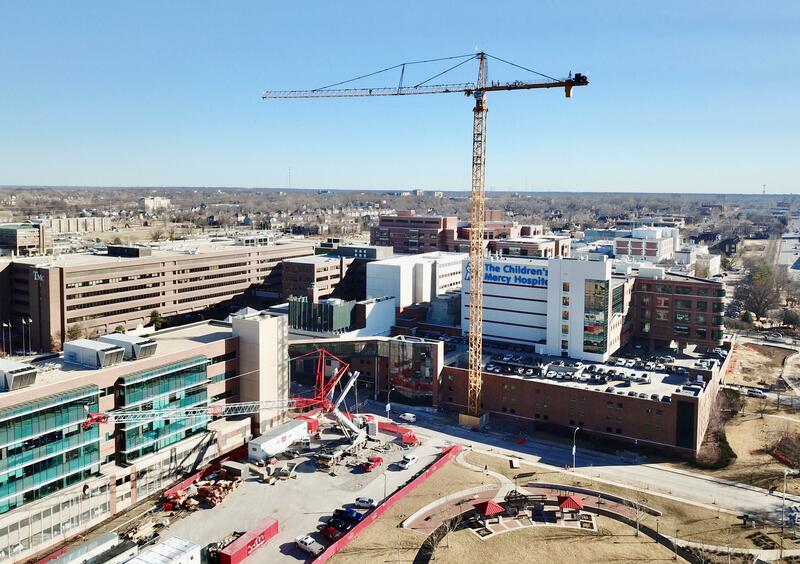 Foundation is poured for the 2nd crane at CMH, so expect it to rise fairly soon. Also, CMH officially selected their new CEO, so hopefully the development and growth will continue with the new leadership! 2nd crane is being erected on Wednesday. Have I missed anything? I haven't seen a 2nd crane go up this week from afar, unless it's a super short one? Must be delayed. The base is still there waiting on the tower. The 2nd crane is going in today as is the raising of the dormant concrete elevator shaft. I see this suddenly rising above the trees from my balcony and now realize this will entirely block my partial downtown view. The second crane really changes the visual scale of the project. They got up to the truss above the cab so far so it's about half up. 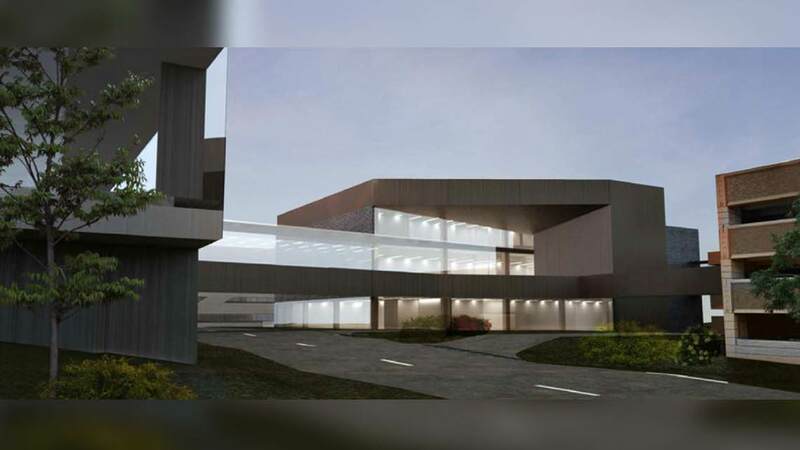 CMH will also be adding two floors to the outpatient tower that faces Gillham (The curved structure over the garages) with the current building of the research tower. This was just announced and will be shell space for a few years. 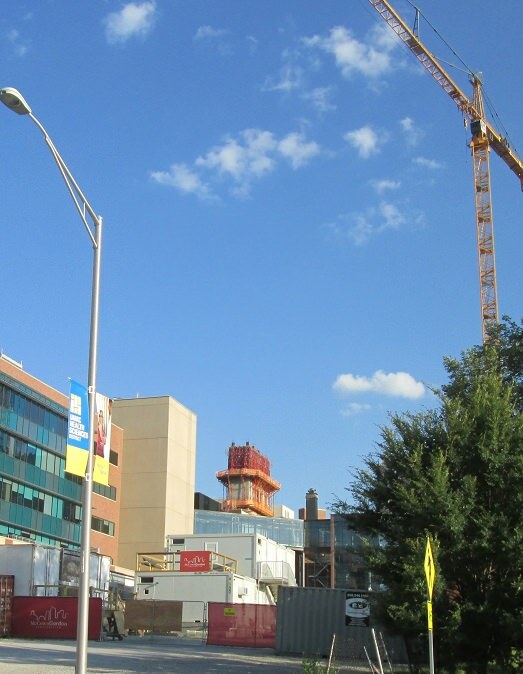 Expect lots of construction to continue in the area for the next few years as they will be almost doubling the inpatient ICU space. The west end extension is up to the height of the top garage deck. The east end has reached a point two floors higher than that. 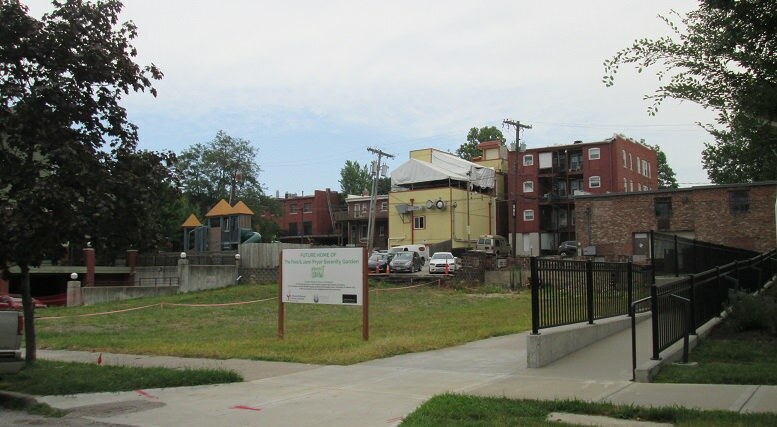 What's being built just east or possibly northeast of the Health Department (~24th & Troost)? I noticed a crane and what looked like new construction over there this morning, but I was running late for work so didn't have time to detour over to see it.